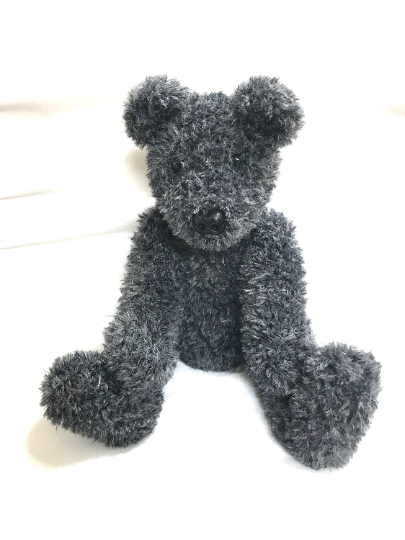 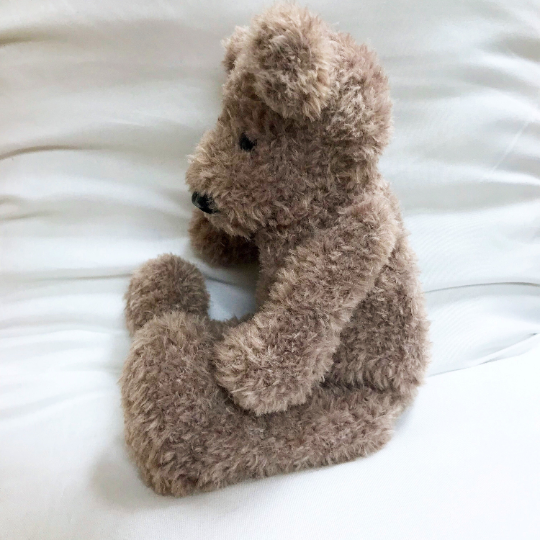 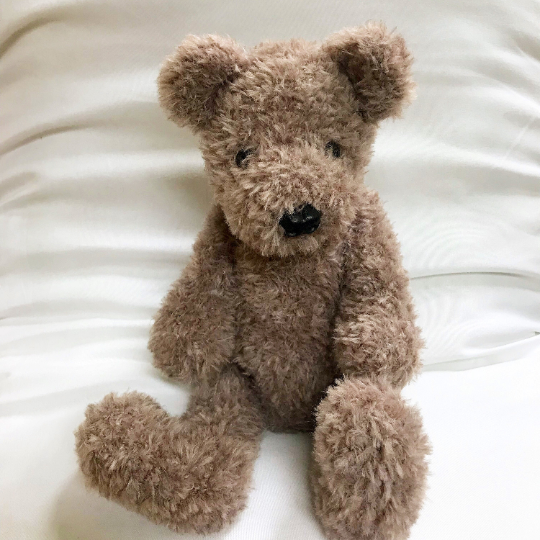 This beautiful fluffy teddy bear is crocheted by hand to my own design. 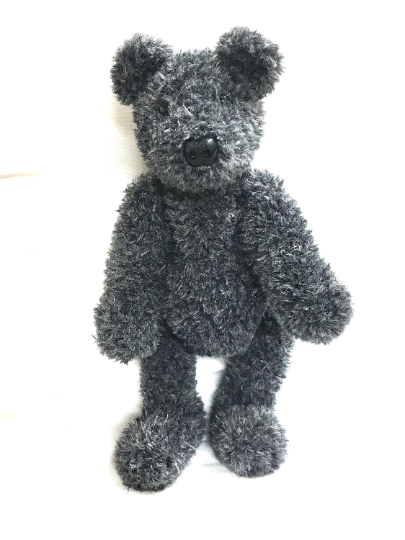 He can be made in beige or dark grey with more colours coming soon. 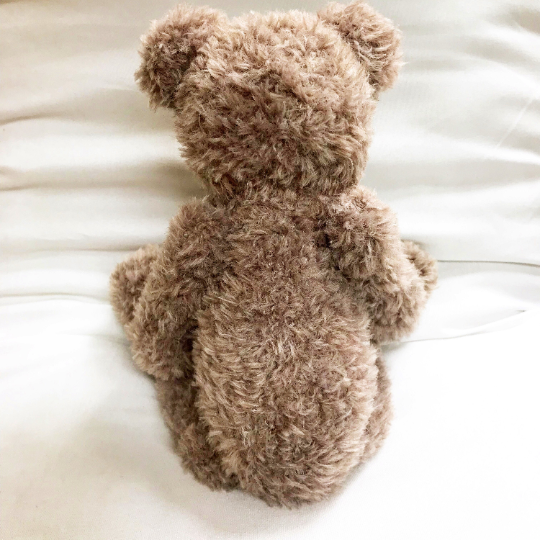 He is approximately 11 inches when seated .He has moveable arms and legs and all materials are child-safe, plus he is CE tested.